Change of perspective due to high altitude imagery presents a totally different view of the terrain/buildings. 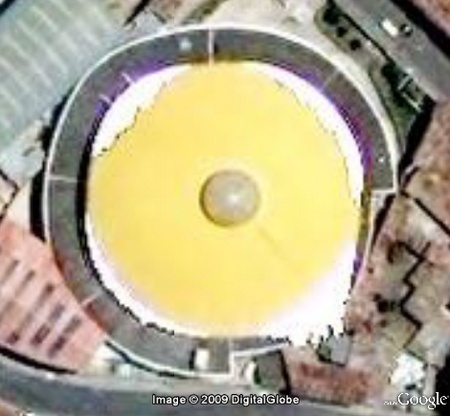 Here is a classical example - a building which from top looks like a fried egg. 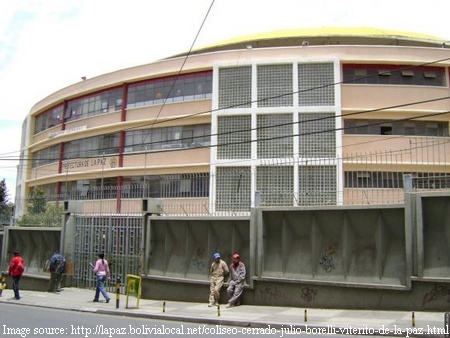 In reality it is Coliseo Cerrado Julio Borelli Viterito (Julio Borelli Viterito covered coliseum). It is one of the major venues in the city of La Paz where national and international championships in volleyball, basketball, indoor football, plus some social events regularly take place. Here are its actual views.